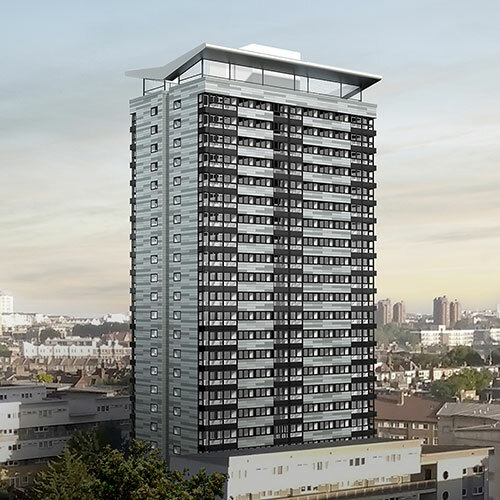 Following the shocking and unprecedented tragedy at Grenfell Tower in June 2017 BPG were directly engaged by Wandsworth Council to undertake urgent reviews of two previously over-clad tower blocks – Castlemaine Tower and Sudbury House. 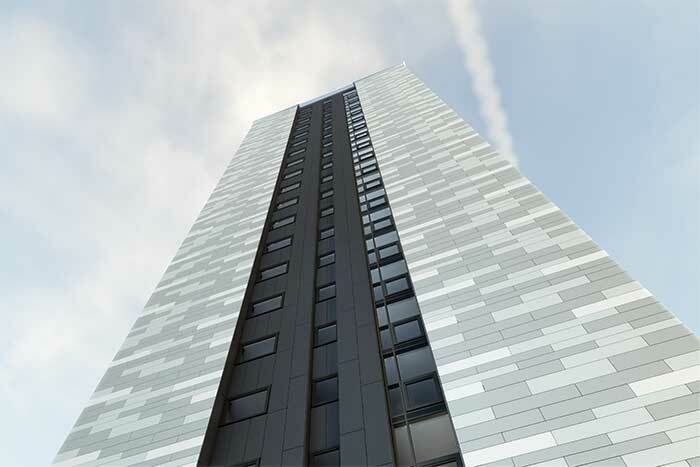 Our initial report concluded, in conjunction with the various departments within the Council, that full renewal with a modern compliant over cladding system was the most satisfactory way forward. 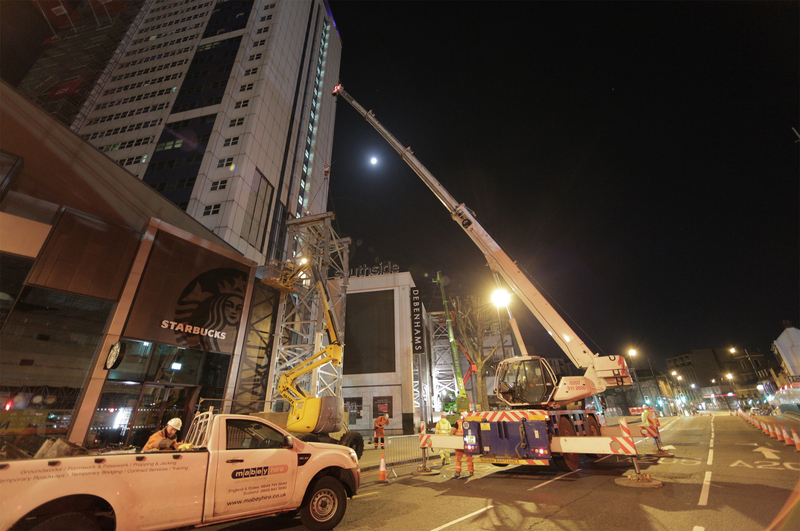 This would ensure in the shortest practical timescales that the highest safety standards for residents could be achieved. These works were to go ahead separate to other measures being undertaken direct by the Council including the introduction of sprinkler systems. 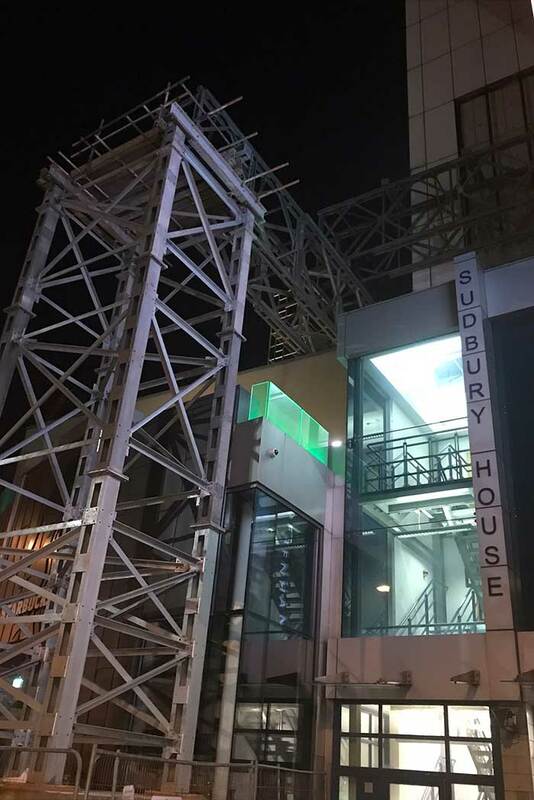 Sudbury House has been fully designed and a negotiated tender process held with the Council’s own Operational Services contractor with results received just prior to Christmas 2017. 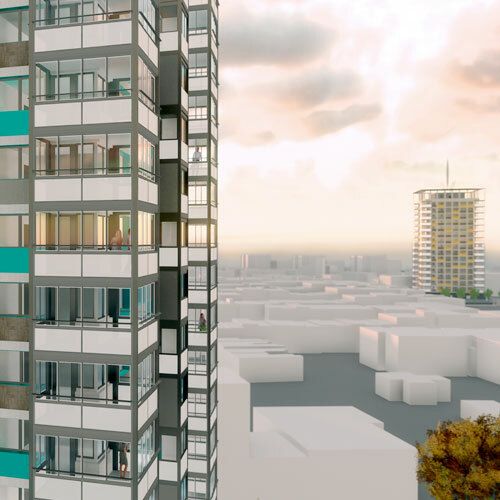 Enabling works started in September 2017 with a partial cladding strip and also in procuring and designing the technical solution for accessing the block to facilitate the works. 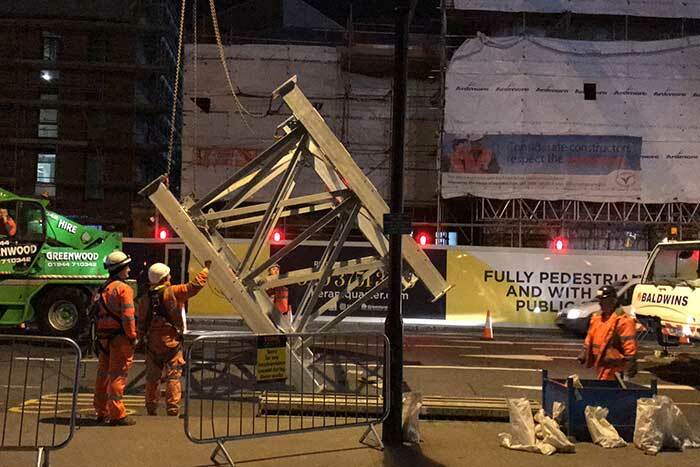 This has involved the construction of a gantry partially supported by bridge type beam and column sections to span over the Shopping Centre and car park that entirely surrounds the base of the block. 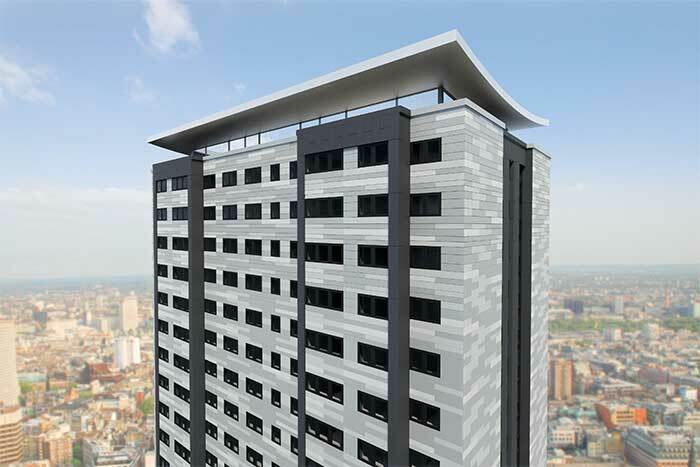 The full strip of existing cladding and then replacement with new, including all fenestration, together with associated/consequential works to the building envelope and passive fire protection will be completed over a total period of 18 months. 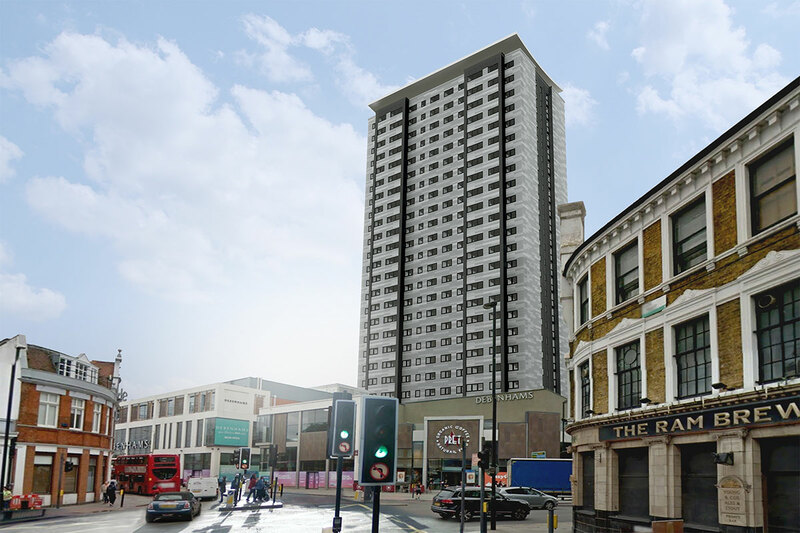 Wandsworth Council working in conjunction with Architects and Surveyors Brodie Plant Goddard and the Councils Operational Services Department have embarked on an 18 month programme to fully strip and re-clad and upgrade Sudbury House following the tragic Grenfell disaster in June 2017. 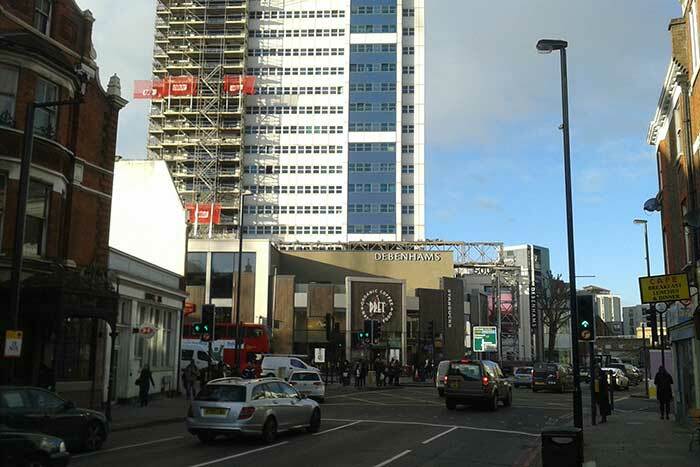 Sudbury House is situated on the one way traffic system in the heart of Wandsworth town centre and surrounded by the congested and busy Southside Shopping Centre. To carry the scaffold above the shops and car park areas a support system of large columns and beams had to be constructed. 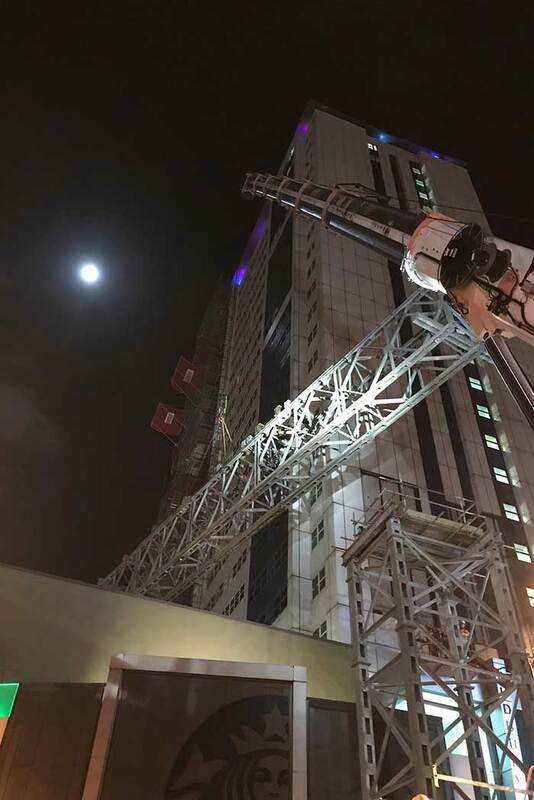 Following a period of detailed design, planning, logistics, preparatory works and hour by hour programming the task of erection was undertaken over a period of four nights. 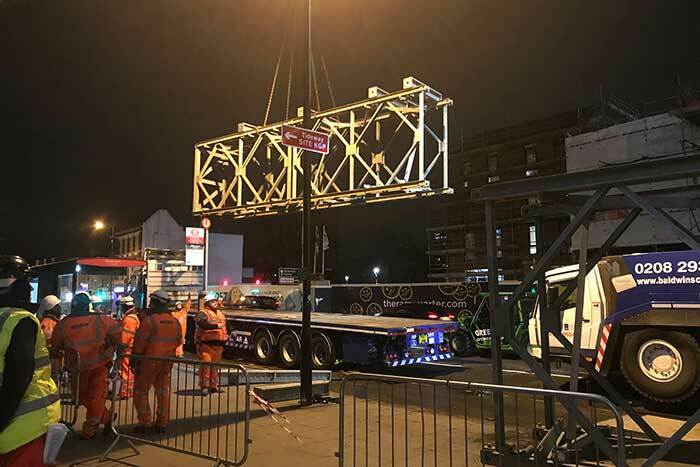 Under the supervision of Wandsworth’s Operational Services Department specialist contractors from around the country were assembled to complete the operations over the four nights in a single week.